Feeling irritable and over-heated? In August at the DEFINE foods kitchen we discussed how to eat to balance our energies, an Ayurvedic approach to complete health and wellbeing. Ayurveda is an ancient system of natural health that originated in India and is one of the oldest documented sciences. A healthy digestive system is at the core of ayurvedic medicine because what we eat feeds the blood, and the blood feeds every other body system. During the summer, heat and sun can cause an increase or imbalance of pitta dosha, or our fire element. Pitta’s hot, intense and sharp qualities can make us feel aggravated and inflamed, which can lead to ailments such as heartburn, digestive problems, hot flashes, ulcers and rashes. In order to find balance and subside these symptoms we need calm, cooling, grounding and soothing quality foods. I shared one of the recipes from my Cooling Foods Workshop on the DEFINE blog: Roasted Peaches with Coconut, Cardamom & Mint. A fruit desert that can also double as breakfast served with granola or topped on your favorite cereal grains or overnight oats. 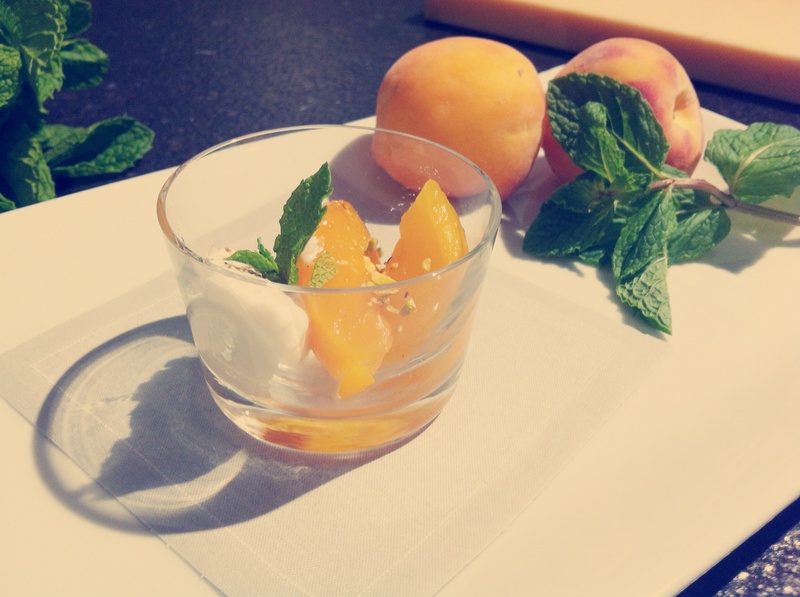 The sweet, ripe peaches get a cooling kick from a coconut-mint syrup and a silky cardamom cream. The aromatic mint is a cooling herb most plentiful at this time of year and is wonderful for soothing the digestive tract and eliminating toxins from the body. Cardamom is used in Ayurveda medicine as a treatment for mouth ulcers, digestive problems and even depression. Simply an indulgence, this dish can be made a few days in advance so make extra and keep in your fridge on hand to satisfy when pitta strikes. To get the recipe, CLICK HERE! Back to the Table: Weeknight Dinners for the Family. Friday, September 20th from 10- 12:00.